SUPERFILL® and PLASTFILL® make this 6-strand marine riser tensioner rope your perfect choice for safe and profitable operations on offshore platforms. MRT – marine riser tensioners are essential installations on floating oil platforms to compensate the wave motion of the ocean and to ensure the smooth and profitable operation of the platform. 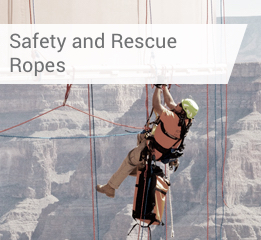 In this application scenario, the ropes run around rope pulleys in adverse conditions and in a continuously loaded state in order to retain the platform in its position.